Woodhead Heritage, the specialist Conservation Team of Robert Woodhead Limited are delivering the latest phase of the Lincoln Castle Revealed project. The project’s most recent update film, “The Countdown to Lincoln Castle Revealed” is available to watch. The 3 minute film, is the latest in a series of short project videos that begin to reveal the scale of the project and the benefits it will bring to Lincolnshire. Robert Woodhead Limited, began work on the fourth phase of the project – the restoration of Lincoln Castle Prison – in August 2013. Woodhead Heritage, is carrying out the restoration and refurbishment of the Georgian and Victorian prison buildings. The £19.9 million project, which is funded by Heritage Lottery Fund (HLF), European Regional Development Fund (ERDF) and Lincolnshire County Council, is the latest phase in the Lincoln Castle Revealed project, in which Robert Woodhead has already played a huge part. 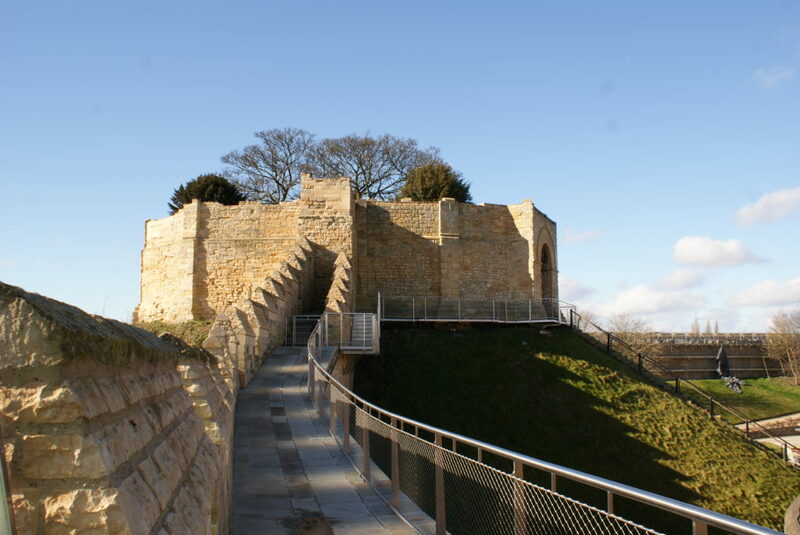 The company completed Lincoln Castle’s award-winning Heritage Skills Centre, and continues to work on the ongoing restoration of the Lincoln Castle walls. One of Robert Woodhead’s Site Manager’s for the project, Paul Staniforth, features in the film. He said: “Work on heritage buildings can be complicated, but it’s also interesting as you learn about their history. Understanding how a building was first built, and how it’s been adapted over the years is key to making sure our restoration work is truly sympathetic to the structure. Lincoln Castle will be the only place in the world where Magna Carta (1215) and the Charter of the Forest (1217) can be seen together. It will also be the only place to have a dedicated new building and exhibition to celebrate the 800th anniversary in 2015. Mary Powell, Tourism Development Manager at Lincolnshire County Council, added: “We are entering into a really exciting phase of the Lincoln Castle Revealed project. We are counting down to the big reveal in 2015 when the entire castle will be open. ”The short films that have been produced throughout the Lincoln Castle Revealed project are an excellent way for everyone in Lincolnshire and around the world to follow the progress of such a landmark project.